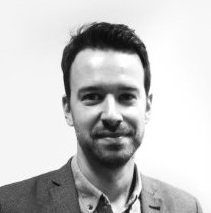 Sports PR agency Pitch has launched a sponsorship division called Pitch Partnerships, headed up by Gavin Peters, who joins the agency this week from Havas Sports & Entertainment. Peters has been appointed head of partnerships at Pitch, and will oversee activity for founding sponsorship clients including Swissquote and Yokohama. He was previously chief strategy officer at Havas Sports & Entertainment Cake, where he delivered campaigns for sponsors and rights holders such as Barclays, Coca-Cola, O2, the FA and FIFA. Peters said: "The introduction of a dedicated partnership division will enable us to be as focused and nimble as a new start-up, but with the benefits of the scale, expertise and experience of Pitch’s many years of great work." Henry Chappell, chief executive of Pitch, added: "Now is the perfect time to expand our offering into sponsorship strategy and activation. We will have an integrated, campaign-led approach to sponsorship, with the aim of bringing brands and rights holders together to form unique partnerships across sport and entertainment. We’re delighted to welcome Gavin Peters to head up the team, and we are actively recruiting further new signings." Last month Pitch, which was 66th in PRWeek's Top 150 2015 rankings, with fee income of £3.2m, started work on two briefs with Channel 4 to promote its 2016 Paralympics and Formula One coverage. Coulson and Chappell: Jokes aside, is this apparently odd couple on to a winner?